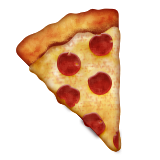 Cat Loves Pizza was created to make posting long URLs easier and more interesting, and may only be used for actual URLs. Using it for spamming or illegal purposes is forbidden and any such use will result in the Cat Loves Pizza being disabled and you may be reported to all ISPs involved and to the proper governmental agencies. This service is provided without warranty of any kind.